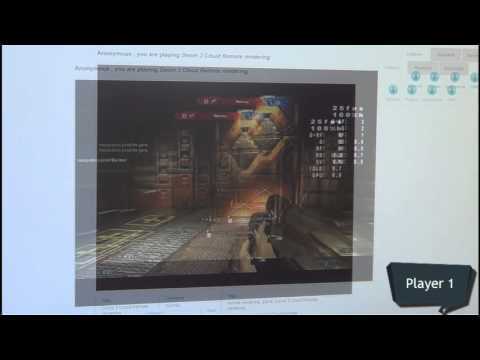 Check out the video: XLcloud Cloud Gaming Doom 3. A demonstration of the Doom 3 BFG edition played in the cloud, from the browser. We show both single and multiplayer session. The user experiences no interaction latency and fluid game visual effects. The game runs entirely on a node of the Virtual Cluster. The demo is live at www.MyMultimediaWorld.com.